INDUSTRY.co.id - Jakarta - PT Austindo Nusantara Jaya Tbk (ANJT) recorded a positive performance in the third quarter of this year due to increased palm production from two company-owned plantations in West Kalimantan and Belitung Island. "Fresh fruit bunches production in the third quarter of 2017 reached 512,263 tons, up 8 percent from 471,972 tons in the third quarter of last year," ANJT Finance Director Lucas Kurniawan told reporters in Jakarta on Friday (13/10 / 2017). 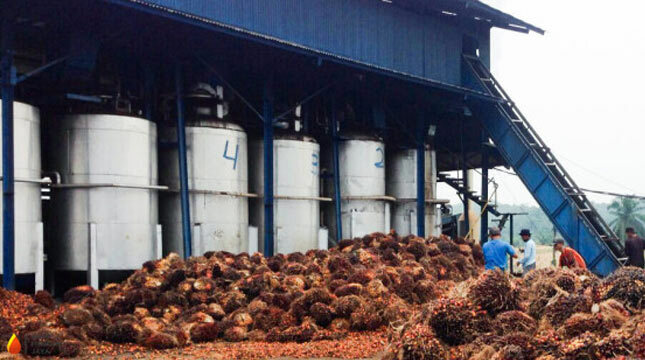 The increase of FFB production was followed by the increase of crude palm oil (CPO) production by 20% to 149,972 tons from 124,836 tons in the same period of the previous year. "The increase in production is contributed by ANJT's subsidiary, PT Kayung Agro Lestari in West Kalimantan, and the production of plantations in Belitung also increased following the el-Nino impact in 2015 and a 20% increase in CPO production due to increased production of FFB and increased oil production Extraction Rate (OER) of 21.8%, as well as increased TBS from external parties, "said Lucas. The increase of the company's production is also contributed to increase the area of ​​ANJ's embedded area by 47,080 hectares (ha), up 3% from the same period the previous year which is 45,653 ha. Similarly, the area of ​​plasma planted up 7% to 3,122 ha from the previous 2,921 ha. Thus, the total area of ​​crops producing in the core plantations in the third quarter of 2017 reached 38,442 ha, while for plasma area of ​​1864 ha.